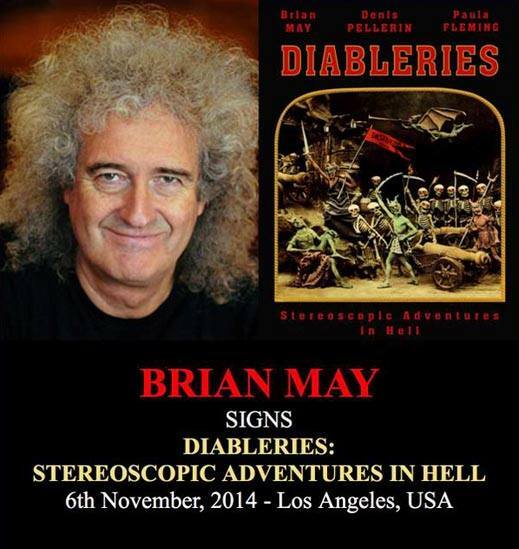 Thursday, November 6 is shaping up to be a night to remember on the Strip as Brian May of Queen signs his latest book, Diableries: Stereoscopic Adventures in Hell at Book Soup at 4pm. Diableries were produced in France from approximately 1860-1900. This series of visionary dioramas depicted life in Hell and were communicated to an eager audience by means of stereoscopic cards, to be viewed with stereoscopes which were popularized in the 1850s. May, Denis Pellerin and Paula Fleming have found all but two of the Diableries cards in existence and have brought them into the 21st century to be viewed through a modern day stereoscope which was designed by May. The Diableries signing starts at promptly at 4 pm. Your receipt for the book is your line ticket, so please save it! While photos from the line are okay, memorabilia will not be allowed. We reported about this show earlier in the week, but here’s yet another reminder to catch ex-Big Bang Babies and Custom Made Scare frontman Charlie Overbey debut his new band, The Broken Arrows, at the Viper Room. Doors open at 8:30 pm. 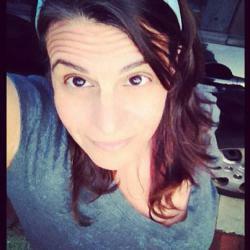 This entry was posted in Books, Events, Miscellanious, Music, Upcoming Events and tagged Brian May, charlie overbey and the broken arrows, Diableries, Queen. Bookmark the permalink.